Doctors delivered the baby by caesarean section after the girl, a member of the indigenous Wayuu tribe, arrived at a hospital in Manaure in floods of tears. The girl, who has not been named, was 39 weeks pregnant when she appeared at the hospital in pain from contractions and bleeding. It was the first time doctors had seen the girl during her pregnancy. After the operation, the mother and baby – a healthy daughter weighing just 5lbs – were said to be “doing well”. Despite the girl being under age, Colombian laws allow indigenous tribes such as the Wayuu a degree of self-governance. The tribes maintain their own sovereignty and cultural traditions. Giving birth at a young age is said to be typical of Wayuu customs. The identity of the father has not been revealed, but local media have suggested it could be a 15-year-old boy, others have claimed it is a 30-year-old man. The birth has led to fierce debate in the country, with some calling the practice “shocking”. Others said the tribe’s culture needs to be respected. 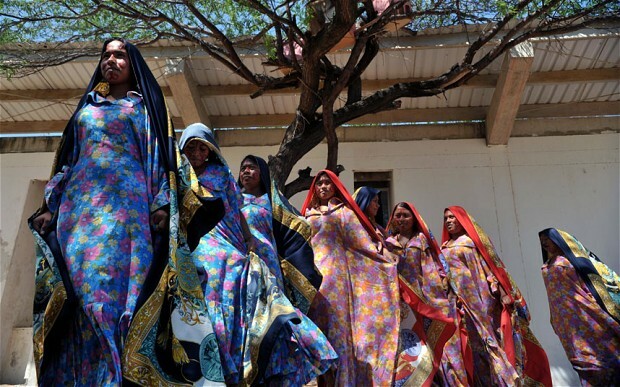 “Since it’s a Wayuu girl we are trying to respect all of their rights since they have autonomy and their own juriostiction,” Alejandro Samplayo, director of parental organisation Colombiano Bienestar Familiar, said. The youngest mother in the world was a five-year-old girl called Lina Medina from Peru in 1933. Ms Medina, who is now 78, had a son called Gerado by caesarean section. Gerado died in 1979 aged 40 from bone marrow disease.